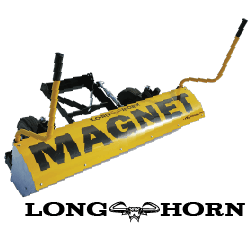 Clean up metal debris on construction sites faster, easier..
Clean up metal debris from construction sites using a magnetic sweeper. Magnetic Sweepers are used on construction sites for picking up metal debris. They help reduce flat tires and human injuries caused by metal debris. 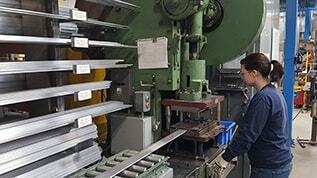 They pick up wire, nails, screws, scrap metal, bolts, etc. faster and easier than other methods. Construction sites have all kinds of debris sources and overall debris is considered moderate to high and the need for control is also moderate to high because of the potential for flat tires and injuries. It’s true most contractors don’t care about metal debris such as wire, nails, screws, scrap metal, bolts, etc. as long it’s not causing them too many flats especially if there isn’t any obligation to clean up the site in the contract. 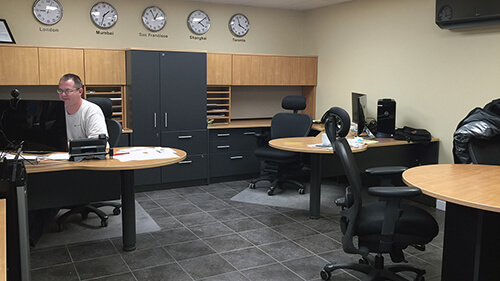 Many contractors don’t want to spend the time and money to clean up a site during or after construction, because it takes time and money. But some contractors do try and keep construction site debris confined to the site first of all. They also do some preventative sweeping knowing that if it prevents one flat tire their efforts are worth it in terms of reduced costs and avoided delays or downtime. They also know that keeping a clean site, and keeping good relations in the area is not only in their interest but more importantly it also means that the client has a good impression of the contractor and in the end it leads to satisfied customers and future referrals. This may seem like common sense. If you go to a construction site and it’s a total disaster, your confidence that other things are done right comes into question. 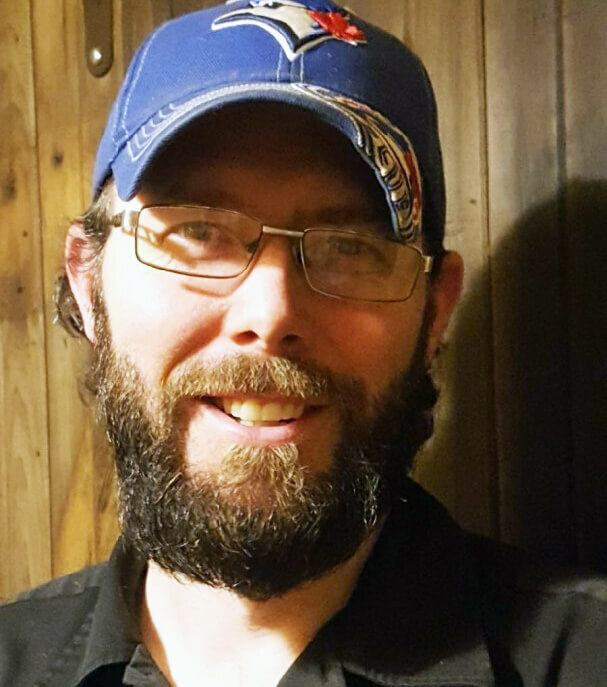 If you go to a construction site that is kept clean and orderly, and if you see a contractor keeping the debris contained to the site, and cleaned up to protect the workers and equipment, we all think that if the contractor is doing these things, they must be doing a lot of the little things right as well, and it would be true usually. What do the staff of Bluestreak have to say on the subject of Construction Site Magnets? 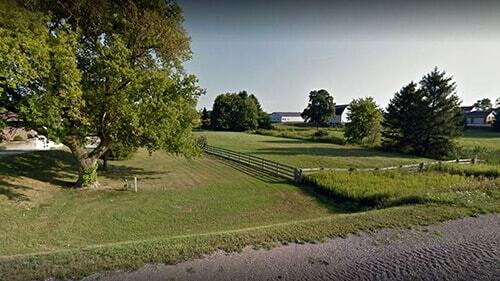 Seriously consider a Debris Digging Rake accessory for a tow behind sweeper. 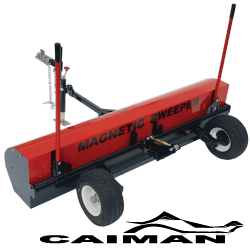 It digs up and loosens metal debris so the magnet can pick it up easier and it grooms and levels dirt areas at the same time and you can easily see where you've swept. 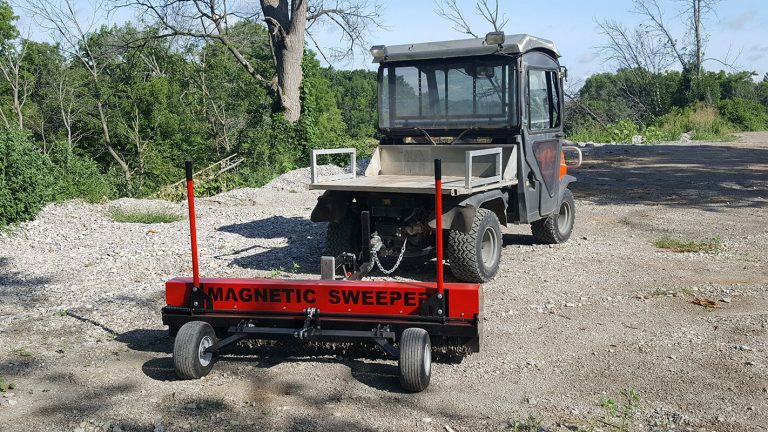 The Rhino magnetic sweeper tows behind ATV’s, tractors, mowers or utility vehicles at construction sites. The Rhino was designed as a severe duty sweeper for off road conditions, in dirt and gravel, and uneven terrain. The Rhino has all the features needed for these conditions including easily adjustable sweeping height, inset wheels, flat proof tires, safety flags for visibility, adjustable hitch height to accommodate many vehicles, and an optional Quick Clean Off Sleeve and Debris Digging Rake accessories. The Yacare magnetic sweeper is a 72 inch wide, durable off road tow behind magnetic sweeper with Spring Assisted Debris clean Off! On the Yacare the Quick Clean Off Sleeve system that is found on the Rhino, is replaced with an easier more durable long term solution especially that is helpful for heavy debris conditions such as construction sites. 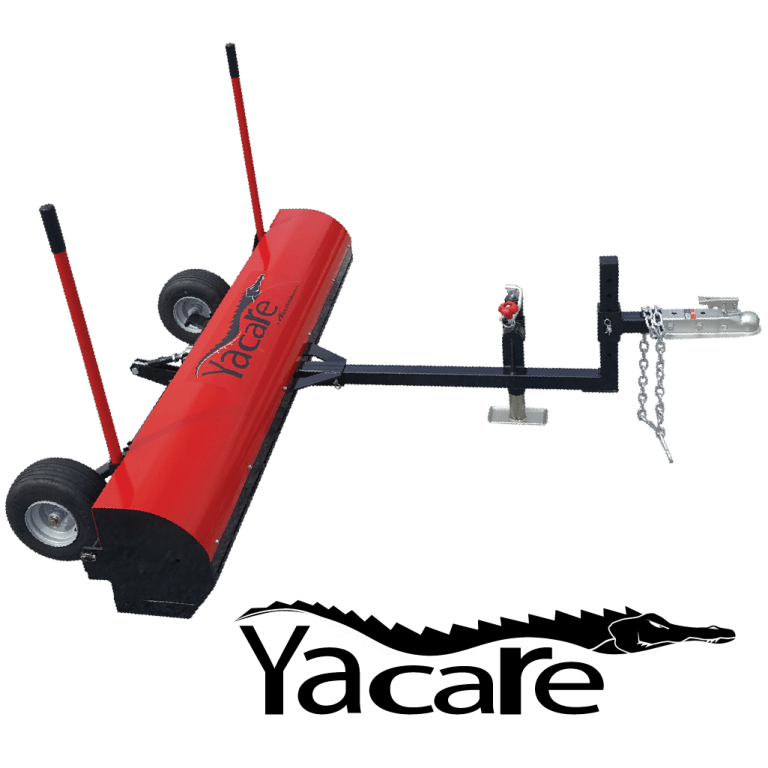 The Yacare has more power than the Rhino and advanced durability provided by all steel and stainless steel construction and protective steel lid covering the magnet. 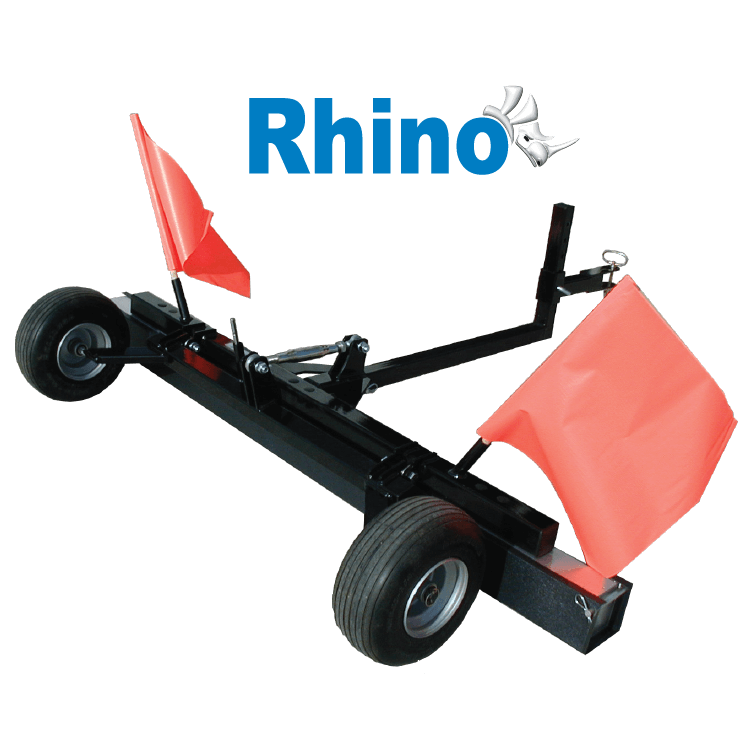 Yet the Yacare keeps all the features that make the Rhino so popular; the pick up performance in off road construction site conditions provided by the “Wrap Around” design, the adjustable sweep height, flat proof tires, adjustable hitch height and optional Debris Digging Rake accessory. 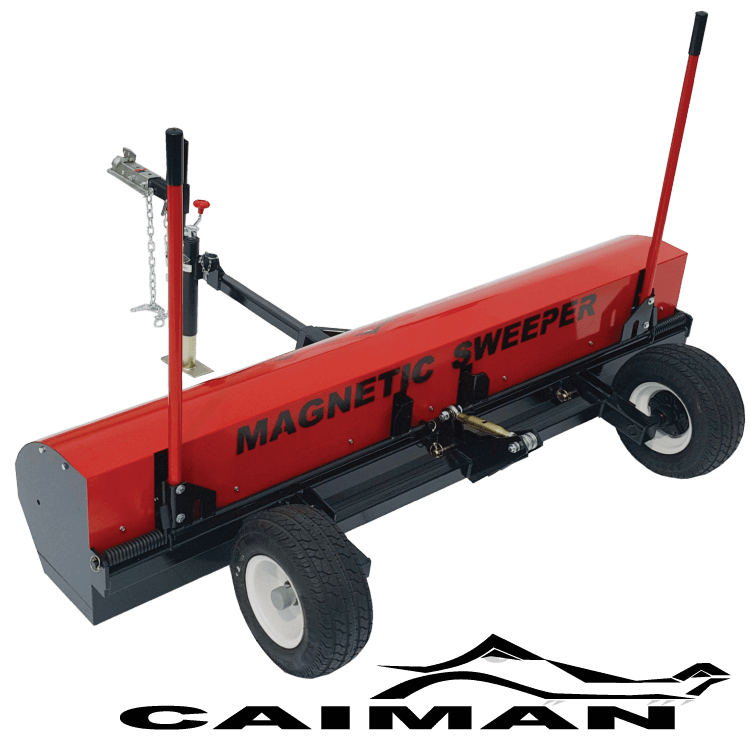 The Caiman magnetic sweeper is one step up from the Yacare magnetic sweeper in terms of width and power. It is like the Yacare because it has enclosed magnets and Dual Spring Assisted Debris Release Handles. However, it’s wider at 82 inches and has more power with 50% more magnets than the Yacare. With more power and a wider sweeping width the Caiman is a good choice for towing behind pickup trucks, larger tractors and UTVs that are used at construction sites. The Caiman also has solid pick up performance in off road conditions such as construction sites because it has the “Wrap Around” design, adjustable sweep height, flat proof tires, adjustable hitch height and optional debris digging rake accessory. 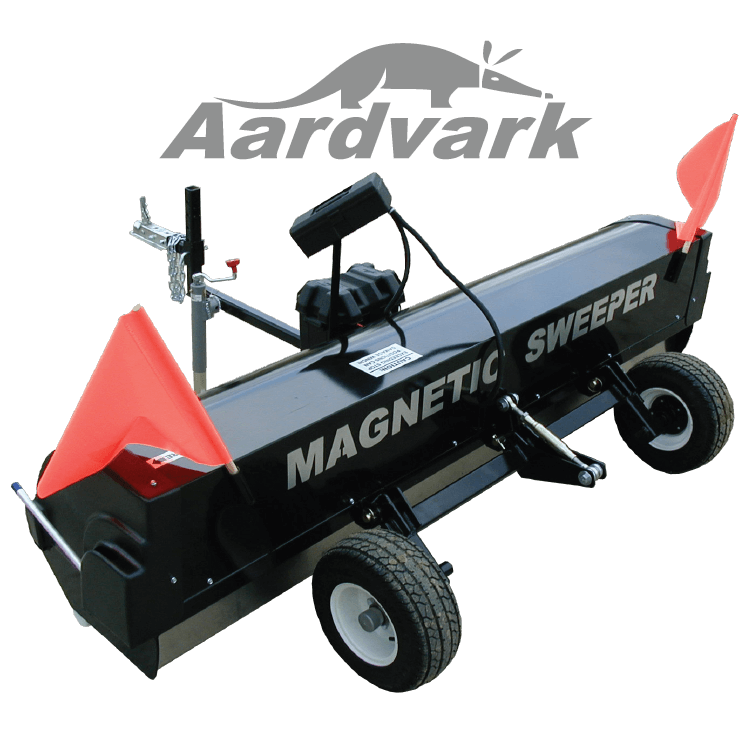 The Aardvark is designed for some severe off road industrial type conditions experienced by large construction sites. The Longhorn is a great front mount option for construction sites that want a simple but highly durable robust magnetic sweeper because they have a lot of clean up to do or have a continuous need over time. The Longhorn allows you to pick up metal debris before you run over it. Leave it permanently mounted or quickly attach and detach when needed. Utilizes your ATV winch. Feature Loaded Push Type Magnet Built for Durability. Ready to handle any construction site. The RIP magnetic sweeper is designed for use on all surfaces including grass. It has a unique “wrap around” design that prevents debris from being wiped off by long grass or weeds found at construction sites. The RIP is up to the task for all terrains. The seven wheel height settings allow you to fine tune the sweeping height to ensure maximum performance in any construction situation. 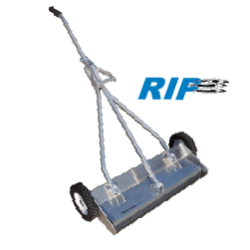 The angled front nose makes it just that much easier to push through grass, all the pivot points have nylon flange bushings so there is no metal on metal contact, meaning no squeaks, long life, and a nice tight feel to the tool. 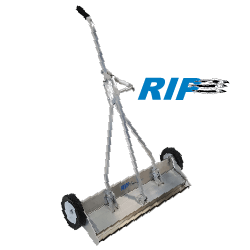 And the feature that is used the most, the handle, was specifically made three pieces to give the handle sturdiness and durability and also contributes to the tight feel of the sweeper unlike many single piece handle designs on the market. Pickup Power that Gets the Job Done! The Force magnetic sweeper is designed to roll across rough terrain with significant ground clearance. Rear offset wheels of the Force allow the front of the magnet to get close to the edge of buildings. 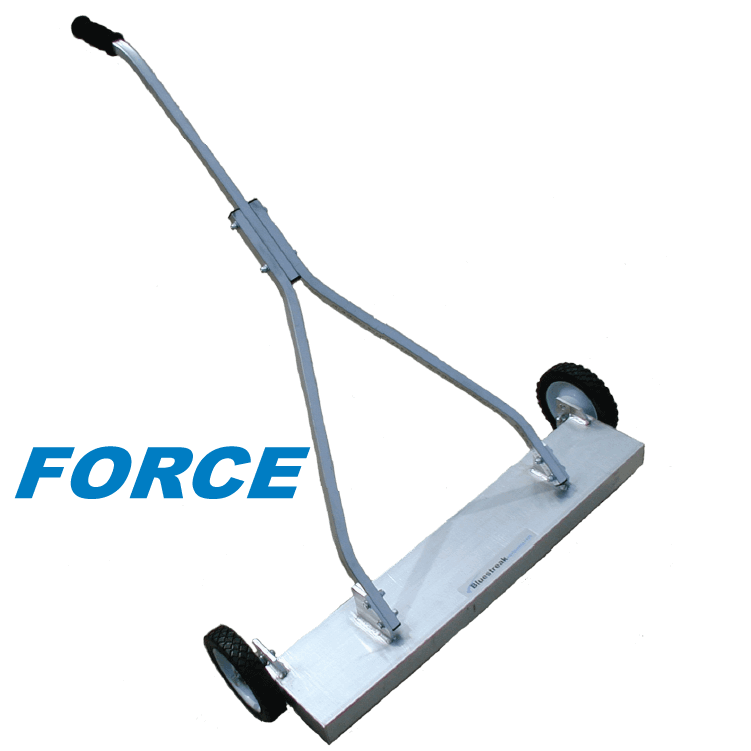 The Force is for those users who really care about pick up power most of all and about getting the job done. It doesn’t have all the extra features just the basics, but it’s sturdy, rugged and gets the job done. It doesn’t have the quick debris release lever, but you can wipe the debris off with your hand by turning it on its side and wiping the debris off from one end to the other. It has three wheel height settings, steel ball bearing wheels, and a welded durable construction design. 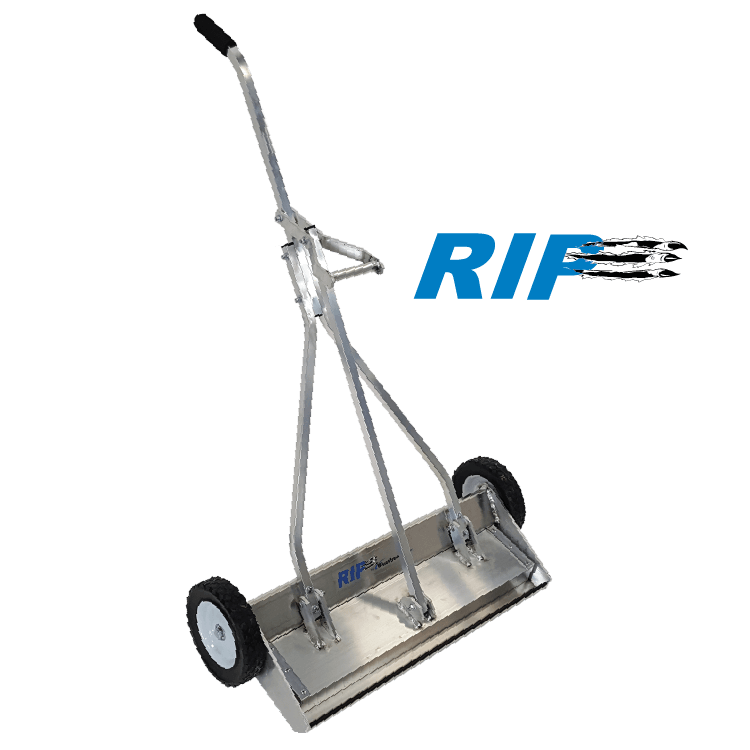 Maximum Lifting Height 9 3/4" 10 1/2" 8 1/2" 12" 5 3/4" 6 1/4" 7 1/4"
Sweeper Widths 72" 82" 62", 74", 86" 96" 20", 25", 31" 19", 25", 31" 54"